I am preparing for USMLE Step 2 CK now. There are so many materials out there for step 2 ck. But the trick is to stick to one source. Most people that I know uses Masters the boards 2 and 3 combined and USMLE World to prepare for the step 2 exam. I kind of started reading Masters the Boards but I gave up since I hate dealing with multiple resources. It’s a headache to read two books at the same time. I liked the concept of first aid for step 1. So I was thinking of a resource that will guarantee me a 240+ on step 2 ck and I wanted to stick to that. And the best resource that is out there is the gold standard kaplan lecture notes. So I started reading the lectures notes and I must say they are pretty good but consumes so much time. But the good thing is you get used to them as you continue to read them. This is why I liked them. And if you recall from Step 1 experience with first aid and usmle world. I am sure you know you had to write so much notes on first aid because it was missing a lot of information from usmle world. 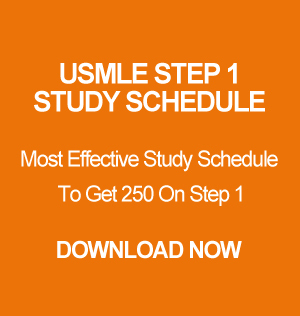 The good thing about kaplan lectures for usmle step 2 ck is that it has almost all the information from from usmle world, so you don’t need to take any notes. All I do is circle and highlight what was asked on the question stem and read both the usmle world explanation and the kaplan lectures section. And with that since I just recently started I am scoring almost 65 to 75% on usmle world blocks. And I am really happy with this as this is my first time going through usmle world. I will say if you are like and don’t like dealing with multiple resources use kaplan lectures for step 2 ck. Remember, you can never go wrong with kaplan lectures notes. They are guaranteed to get you a very high score. Don’t worry about material size. Trust me you only need to read them maximum three times and you are all set. My target is to study for 6 months and take the exam. And believe me I am a very slow reader. I will keep you guys updated with my progress.